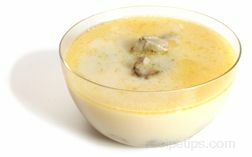 A small, hollow, hard-textured cracker most often served as an accompaniment to chowders, soups and stews. 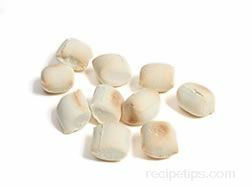 Puffy in appearance, the oyster cracker is very similar to a soda cracker or saltine. 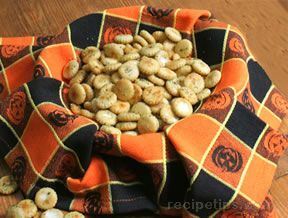 It is typically made with wheat flour, shortening, yeast, and seasonings and shaped into a round or six-sided form. 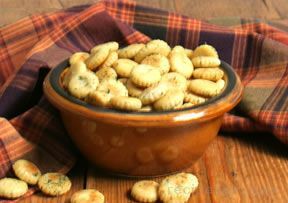 In addition to serving this cracker plain, it works well as a cracker that can be seasoned with herbs and other ingredients to be served as a tasty appetizer and snack.